Having a good quality sleep is an important factor in managing your stress. Insufficient sleep results in stress. Nowadays, most of us encounter stress in different ways that affect our physical, mental and emotional health. To handle it well and find a balance is never easy. 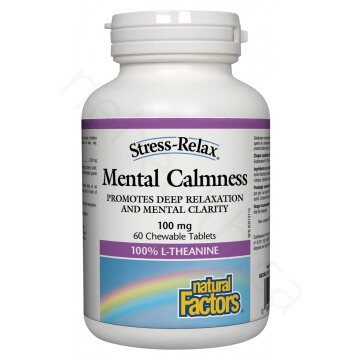 Introducing the Natural Factors Stress-Relax Mental Calmness, an easy-to-take chewable tablet effective in promoting relaxation and mental clarity. It contains 100% Suntheanine® L-Theanine in a chewable tablet, once ingested, shows noticeable effects in as little as 15 minutes. 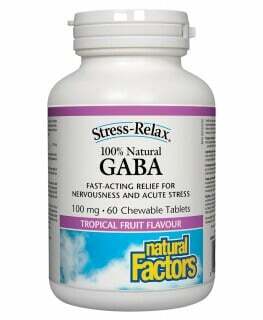 What Are the Key Health Benefits Associated with Natural Factors Mental Calmness? L-Theanine is a natural occurring amino acid found in the leaves of green tea (Camellia sinensis). It plays two important roles in our body. First, it gets absorbed through the small intestine, after that it is transported directly to the brain where it then stimulates the production of alpha brain waves. Our brain can transmit four different types of waves depending on the frequency: alpha, beta, gamma and theta. Alpha waves signify an awake and relaxed state whereas the beta waves show up during an awake and excited state. On the other hand, gamma waves are present during deep sleep and theta waves indicate light sleep. 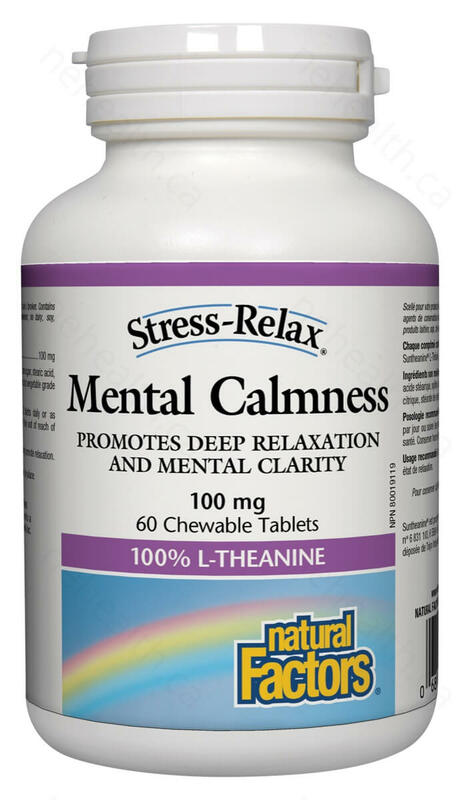 Second, studies suggest that L-Theanine plays a role in the production of GABA (gamma amino butyric acid), a neurotransmitter that aids in relaxation and increases memory. What Makes Natural Factors Mental Calmness so unique? Non-medicinal ingredients: Organic cane sugar , stearic acid , xylitol , silica , tropical fruit flavour, citric acid , vegetable grade magnesium stearate (lubricant). 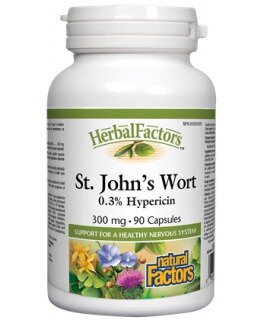 Chew 2 tablets daily or as directed by a health care practitioner. Contraindications: It is advisable to consult a health care practitioner prior to use if you are taking antihypertensive medications or stimulant drugs. Lyon, Michael R., Mahendra P. Kapoor, and Lekh R. Juneja. "The Effects of L-Theanine (Suntheanine) on Objective Sleep Quality in Boys with Attention Deficit Hyperactivity Disorder (ADHD): a Randomized, Double-blind, Placebo-controlled Clinical Trial." Alternative Medicine Review 16.4 (2011). Nobre, Anna C., Anling Rao, and Gail N. Owen. "L-theanine, a natural constituent in tea, and its effect on mental state." Asia Pacific journal of clinical nutrition 17 (2008).